One of the most recognised luxury car brands on our roads, Ferraris have built a huge reputation for luxury, fast cars. 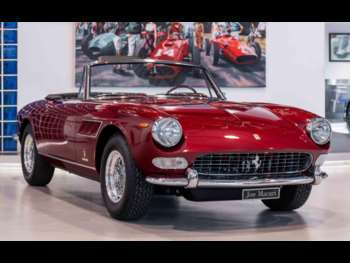 The Italian brand has drenched in praise and has a rich history of success for making cars that people love. Their dominance over the years is a result of the high-quality, stylish cars produced by the brand and with such importance, it is difficult to capture their success in words. You can find these cream of the crop cars, for a smaller price in the range of used Ferraris at RAC Cars. With speed, performance and quality at the heart of every Ferrari, there is an abundance of popular models for you to choose from. Cars like the Enzo, the 360M, the 458 and 599 have cemented the company into the 21st century, and with up-and-coming models like the F12 Berlinetta, it seems unlikely that Ferrari will be losing steam any time soon. If you want a slightly cheaper way into Ferrari ownership, the 360 is a good way to go. It remains Ferrari’s most successful model. 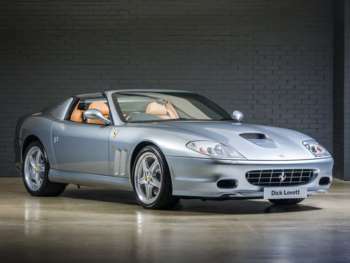 If you need a four-seater, then the FF or 612 will be an ideal partner. Ferrari has been a long-standing favourite in the car industry and has built its reputation for building fast cars since 1947. The Italian car brand prides themselves on world-class quality contributing to their reputation for speed, performance and design. From a number of victories on the race tracks to their huge success today, you even have to be approved to buy a new Ferrari. This is what makes them so popular on the used car market; second-hand Ferraris are easier to buy. 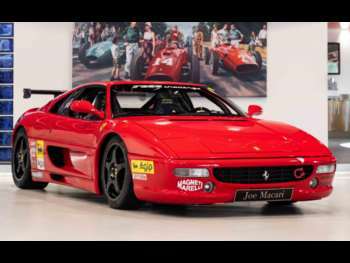 Take a look at the wide selection of used Ferraris to see what we have to offer.